Daytona Beach, Fla., April 9, 2014 — DMEautomotive’s (DMEa), the leader in science-based, results-driven automotive marketing, has received the prestigious Dealer Marketing Magazine Technology Leadership Award for the second year in a row. Recognized once again for best service marketing, DMEa won the award for Driver Connect, its groundbreaking mobile app. This is the fifth technology award DMEa has won in the past 12 months, four of which were for Driver Connect. Driver Connect helps dealerships keep pace with the new, “mobile-first,” consumer realities, by offering the first dealer-branded app that marries cool, truly useful and personalized automotive tools for customers, with keep-them-spending features for dealers – like “one tap” service appointment scheduling, robust new and used inventory search, and super-targeted offers tied to specific vehicles. Driver Connect also includes chat, vehicle-in-service/ready alerts, pre-paid maintenance, loyalty program and mobile wallet support, native service scheduler, push notifications, vehicle matching, and much more. Driver Connect has been adopted by some of the largest dealer groups across the nation, and has won multiple awards, including the prestigious American Business Award, the 2013 BizTech Innovation Award®, and PCG Consulting – Automotive Website Award (2014). The Dealer Marketing Magazine Technology Leadership Awards are unique because of multiple safeguards and a selection process designed to ensure objectivity. A supplier does not need to be an advertiser in Dealer Marketing Magazine in order to be considered or eligible for an award. To be considered in any Technology award category, vendors needed to be nominated by at least two separate dealers. To ensure the Dealer Marketing Magazine Technology Awards remained unbiased, the voting was moderated by Joe Webb and Bill Playford of DealerKnows Consulting, with all judging performed by members of the newly-formed Automotive Peer Review board. Vendors can be nominated for the award in any area of the dealership, from social media and service solutions to F&I tools. The only requirement is that the technology has benefited the dealership in some way. DMEautomotive (DMEa) is the industry leader in science-based, results-driven automotive marketing, and provides turnkey marketing to the largest and most innovative automotive organizations, from automobile dealers to many of the largest aftermarket companies in the U.S. DMEa’s uniquely panoramic view of the complete automotive sales and service market, combined with its cutting-edge, science-based marketing programs, increases customer yield, conversion and retention. Dealer Marketing Magazine was started in 2002 by ad agency veteran, Brett Stevenson, owner of Stevenson Advertising, in Seattle, Washington. A team of auto marketing experts, led by Editor in Chief Michael Bowen, currently produce it. The Dealer Marketing Magazine staff is dedicated to providing auto dealers nationwide with a relevant one-stop resource for their advertising, marketing, sales, education, and business development needs. Every month, Dealer Marketing Magazine is mailed to over 18,000 auto dealers (most new car dealers and the nation’s top used car dealers) and more than 1,000 industry-affiliated professionals. 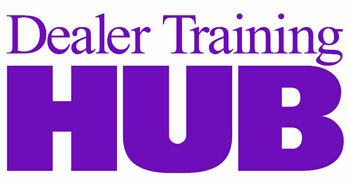 Dealer Marketing Magazine, however, is not a news magazine; it is a trade magazine focused on business success. Our focus is not up-to-the-minute information on manufacturer news, personnel promotions, and other news events. While some dealers may find this news informative, our experience suggests that dealers are more interested in learning how to be more effective marketers and better businesspeople. Has Any Customer Ever Said They Wanted to Buy this Way?